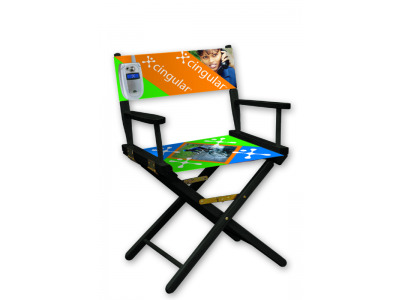 Director's Chair - Dye Sublimation Seat & Back: The dye sub seat and back combination gives you a great way to brand your booth furniture and keep your message in the public eye. 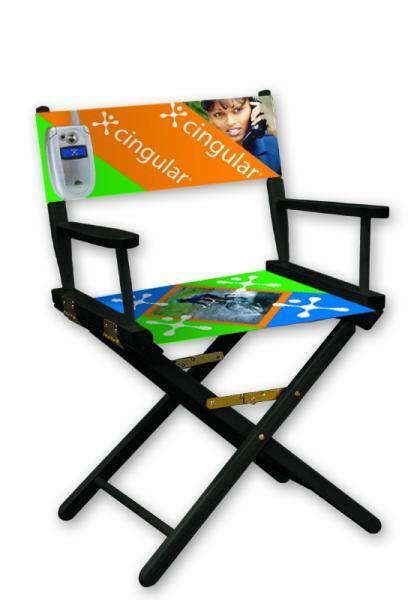 In the fast paced world of on line trade show exhibit merchandising, you can differentiate your business by bringing your attention down to the personal level and truly try and serve your clients. We can't be content to just take an order, process it, and move on to the next one. Normally, our clients will be glad to hear what we have to say about the product they're considering purchasing, which in the end, validates their judgment too. That is why we, as customer service professionals at ShopForExhibits, have the real world experience so we can advise our clients correctly and give them the direction they need to create a valuable exhibiting experience for themselves. Seat Height Options - 18" or 30"